Providing you the best range of stainless steel handrail, stainless steel balcony railing, ss balcony grill, balcony railing fabrication service and steel spiral railing with effective & timely delivery. We at, Keddy Concept are engaged in manufacturing, exporting and supplying Stainless Steel Hand Railing around the world. Our firm uses the optimum range of steel materials for the manufacture of our products. These products are featured with dual hand rest facility, gripped hand rest slopes, attractive design. All our railings are applicable in all construction works. We have designed our railings in a way to promote portability. We are very well known for the production of stainless steel balcony railings. 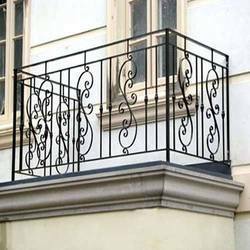 These balcony railings are designed according to the requirements of our clients. They also are available in different shapes sizes. These balconies are especially made up of stainless steel which is one of the most important features of these railings. They have very well tensile strength and especially designed for balconies. Manufacturer and supplier of balcony grills, steel balcony railings, stainless steel balcony railings, domestic steel balcony railings and commercial steel balcony railings. We offer Balcony Railing Fabrication Service by using our cutting edge technology. We undertake contractual jobs for fabrication in Indian market. These custom made manufacturing and fabrications are designed to provide easy and hassle free operations in assembly projects. 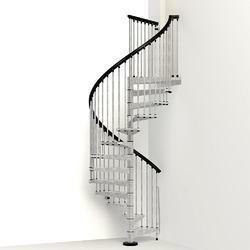 We are offering a precisely designed collection of Steel Spiral Railing. The given spiral railing is precisely manufactured under the direction of experts utilizing top quality stainless steel in adherence with the specified standard of industry. 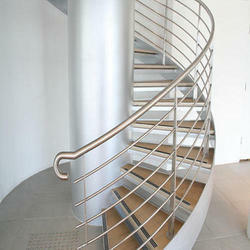 This spiral railing is provided in several specifications in order to meet the customer's demand. Our spiral railing is high on demand among customers due to its smooth finish.